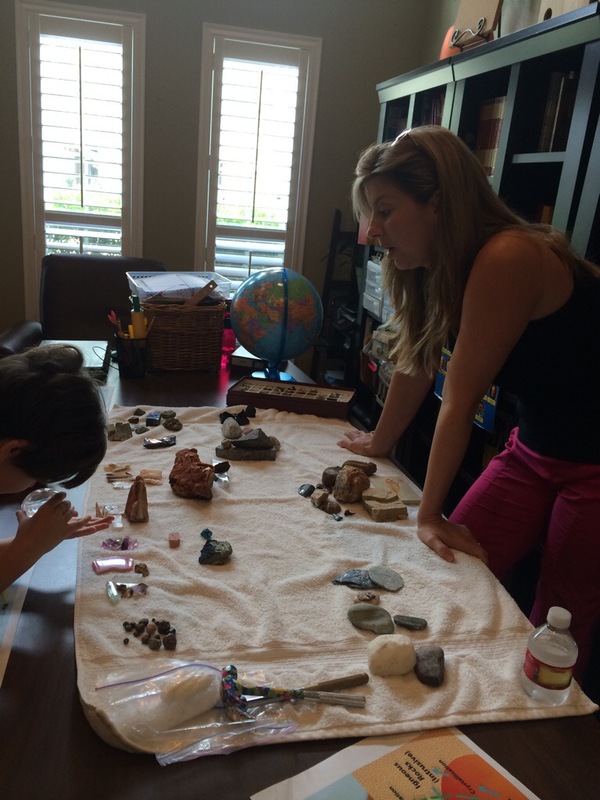 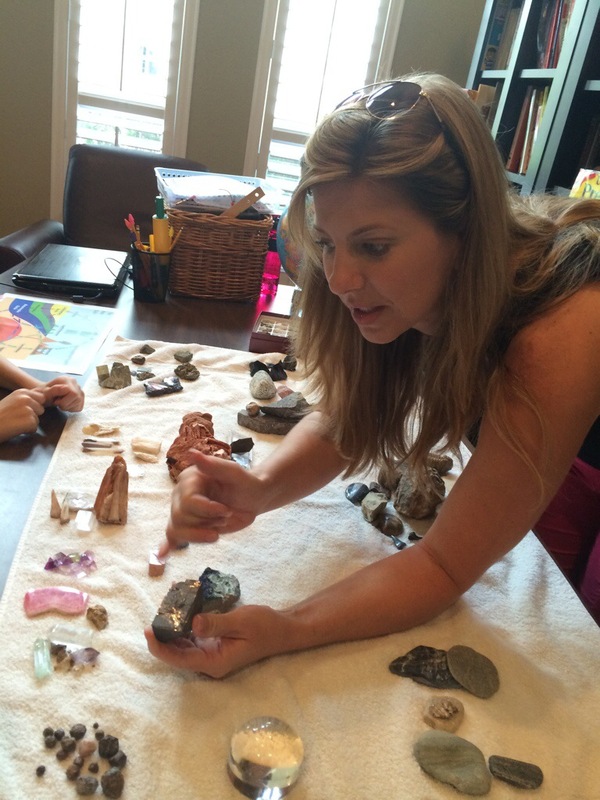 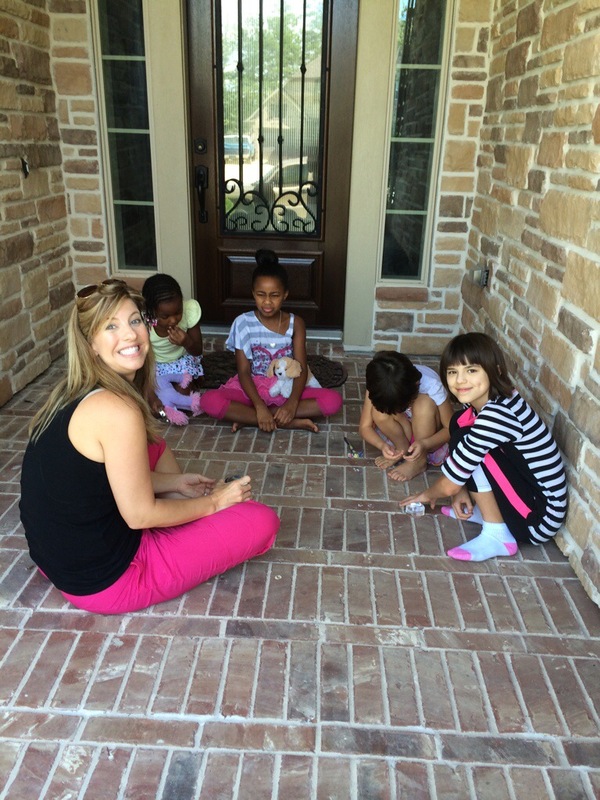 My geologist friend, Andrea, came over today and gave us a fantastic hands-on geology lesson. 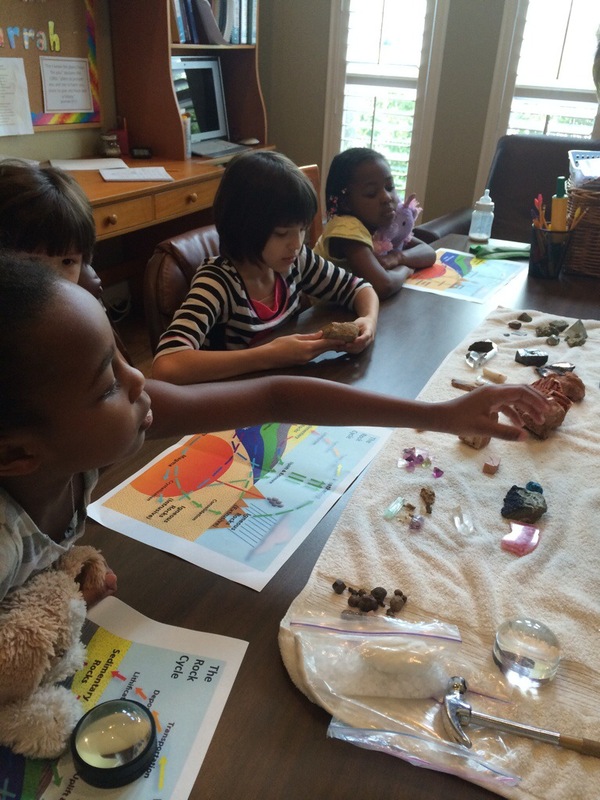 Another friend, Karen B., brought over her girls and we all had a great time learning about and observing many types of rocks and minerals. 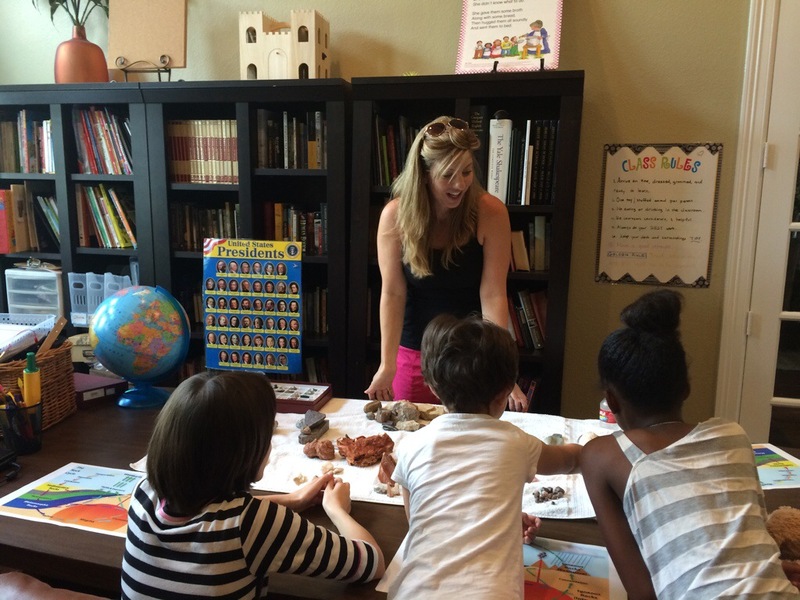 We ended the lesson with a fun rock salt hammering activity followed by play time by the girls.